Primorsky territory environmentalists create Far Eastern leopard reality show. 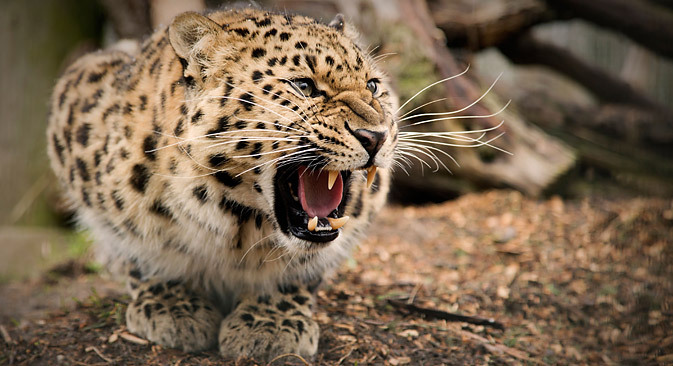 Ten cameras installed in the Land of Leopard National Park in the Primorsky territory provided the footage for the "Spotty Family" series depicting the life of Far Eastern leopards, a rare and endangered species. A she-leopard called Kedrovka and her three cubs were caught by the cameras once and again until the environmentalists acquired 70 hours of unique footage sufficient for seven documentaries, the press service of the Amur branch of the World Wildlife Fund (WWF) Russia said. "We will show you what not a single person on Earth has ever seen before, what has not been seen even by those who dedicated their entire lives to studies of the Far Eastern leopard and wrote theses based on those studies. This is the real life of a real leopard family and its taiga entourage in its true colors and without visual effects," the report said. Head of the public relations department of the WWF Russia Amur branch Vasily Solkin, the author of the series, spent over a month arranging the video recordings. "The absence of a cameraman nearby makes it possible to film the animals just the way they are and their totally natural behavior. While analyzing the video materials obtained in the first month of the project, I learned more about Amur leopards than I did in the previous 20 years," Solkin said. The project authors are determined to continue their series and post them on YouTube for free. "Video monitoring is a breakthrough technology both for Russian and global science, and video monitoring of the rarest cat on the planet is a truly unique event. The new methods provide an opportunity to study the behavior of wild animals without intruding on their life, which has been impossible until recently," the report quoted Land of Leopard National Park Director Andrei Borodin as saying. The video monitoring project in the national park started in October 2013. Southwestern areas of the Primorsky territory is the only place on Earth where a wildlife population of the Far Eastern leopard has been preserved until now. According to this year's estimates, the leopard population in the taiga of the Primorsky territory has grown from 35 to 48-50 animals. The Far Eastern leopard is the northernmost of the nine living Pantera pardus sub-species. It has been listed in the Red Books of Russia and the International Union for Conservation of Nature (IUCN) as a nearly extinct sub-species.